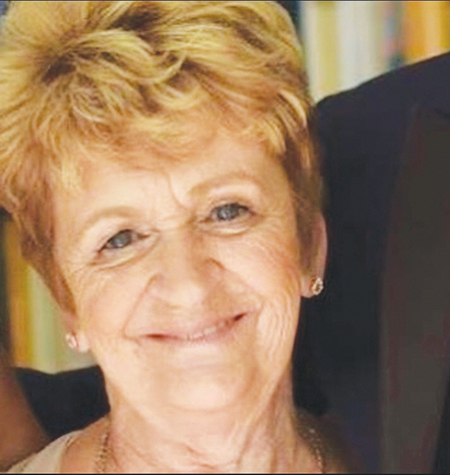 Hoosick Falls, NY – Ann Marie Bornt “Mimi” 75, passed away on November 8, 2018 at her residence peacefully surrounded by her loving family. She was the wife of the late Dennis Bornt. Ann was born on September 21, 1943 in Hoosick Falls, daughter of the late Frank and Anna (Unavitch) Hayes. She was employed by the Village of Hoosick Falls Clerk’s Office. Ann enjoyed gardening, trips to Maine, and annual girls shopping trips. In addition Ann’s love of the Village and Community was known and felt by many. Ann was a communicant of the Immaculate Conception Church. Survivors include her children Kari Bornt of Troy, NY, Kent (Linda) Bornt of Nashville, TN and Scott (Fay) Bornt of Hoosick Falls, sisters Patricia Callahan of Hoosick Falls, Sandy Freeman of Lake Luzerne, NY and Helen Stuetzel of Gansevoort, NY, brother Tony Hayes of Hoosick Falls, grandchildren Corey Prince, Matthew Bornt, Mackenzie Miller, Justin and Staci McCullough, great-granddaughter Brooklyn Miller. Funeral services were held Monday November 12, at the Mahar Funeral Home, 43 Main Street in Hoosick Falls, NY. Burial followed the service at Maple Grove Cemetery in Hoosick Falls. Memorial contributions may be made to the Karen & Molly McGovern Memorial Fund through the funeral home.